TOP 5 THINGS TO DO WITH YOUR DOG THIS WEEKEND….. If you follow me on Facebook you’ve seen me barking a lot at people to get out and spend time with their dogs. Sorry to disappoint you, but I won’t be letting up anytime soon. One of the biggest causes of behavior issues with dogs is that their owners simply neglect their needs. I realize that sentence has offended several football stadiums worth of people as they lay in bed spooning with Fido and their smartphone, but as I’ve said plenty of times, cuddles aren’t at the top of list of needs your dog came with. One thing I’ve learned in years of both human and dog training is that for every one thing you prohibit or say is bad, you should provide several positive alternatives. After making such a fuss about people not stimulating their dog’s mind and body, I’ve made the negative rather clear so it is only fitting I provide some options for those dedicated to the best needs of their dog and willing to change their ways for the better. There are tons of great dog activities out there. If you didn’t see this one coming it’s safe to say you’re new to KD Mathews. I won’t let this bone drop, ever, so let’s hurry up and get it out of the way and get on to the rest of the list. I’ll spare you the mini novel on the history of dogs and how walking long distances is what they were designed to dating back to their wolf ancestors. Take my word for it , walking is one of the easiest and most readily accessible way to physically and mentally stimulate your dog. Going for long walks is more than just a physical activity. The act of traveling together triggers the pack drive that lies within the psyche of the dog as well as provides a great deal of mental stimulation for the dog (assuming you and your dog know how to walk together properly – I’ll cover that in another post). Generally speaking, set a goal for 45 minutes. If you are properly walking your dog, that is a good amount of time to get some quality stimulation in. If this is new for you and you need to break things into smaller steps to achieve success, start with 20 minutes and work your way up. If you have the time and ability to go longer then by all means do so. There are some situations where this simply isn’t possible due to the health and physical condition of human and/or dog. Common sense prevails. If it is a human limitation however, there are alternatives. A number of companies have really done well at creating treadmills for dog use. This eliminates the excuse that you can’t go for the walk. Teach your dog to use the treadmill and the reality will be that your dog gets even better exercise than if you hired a daily dog walker! If your dog has already started killing all the trees in a 3 mile radius from marking them daily, or you simply don’t have the kind of neighborhood conducive to extended walking (safety issues from bad people OR bad dogs, I’ve experienced both), then it’s time to explore. If walking in a familiar area is awesome for stimulating mind and body, exploring new areas with your dog is that much better. Get on Google and search up local trails or public access conservation areas. If you open Google maps you can also quickly scan for anything green then dig deeper to see what options you have. Even urban dwellers have access often times to areas dedicated to walking or providing some type of alternative to concrete jungles. 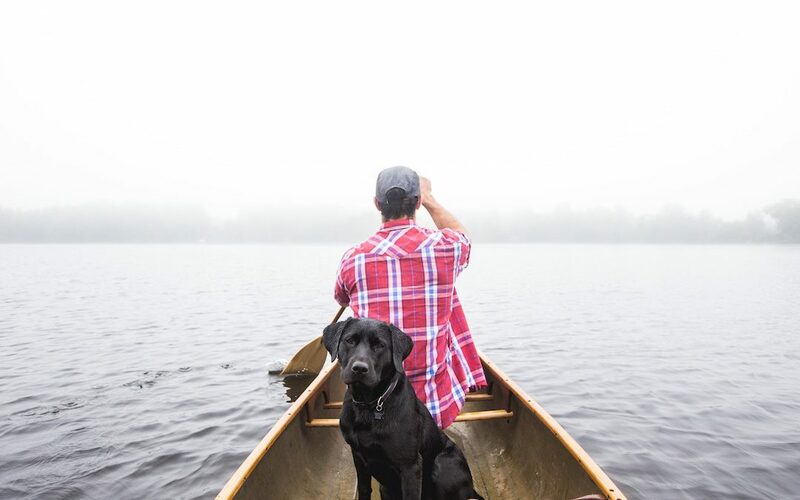 Going into a new environment with your dog also provides you with a prime opportunity to demonstrate your leadership abilities (providing you have some). This is where your dog will look to you for guidance, reassurance, and control. Every opportunity you have to demonstrate those attributes to your dog is an opportunity to further deepen your already growing bond of trust and love. That’s what dogs do with each other. Even though evolution has changed them from being wolves to dogs, left in social environments without humans, stray dogs often form groups and cover large expanses of territory lead by the one that provides the most guidance and leadership. Plus it gets you both out and about which can provide some great opportunities for you to be engaged as well. Getting bored with the basics? Looking for something more engaging than a simple walk? Teaching your dog to do tricks is a super fun way to keep your dog’s brain busy as well as strengthening your bond and developing your communication skills. Go to your local pet store and grab a handful of the cheapest “clickers” you can find. Go to the bookstore or as I seem to do far too often, log onto Amazon, and grab one of the many books on beginning trick training. There are TONS of books on the subject and honestly most are awesome. Make sure you are not using store-bought treats and instead either make your own or find some cheap hot dogs and cut them up into TINY pieces. The goal is to reward your dog with something yummy so they know they are doing what you want as opposed to feeding them a meal. Also be sure to account for the additional calories coming from treats and adjust their main feedings accordingly. I HATE seeing fat dogs. One of the reasons we love dogs is because they can do anything you can teach them to do. Why not find out what your dog excels at and find a club that specializes in just that. Most major cities have a very healthy assortment of specialty clubs that allow humans to get together and teach, train, exhibit, and even compete with their dogs at various dog centric activities. This not only gives your dog something exciting to look forward to, but the social side for the humans is rather fun as well. It is a chance for your dog to be stimulated and really develop their skills and for you to make some new friends and add to your list of fun things to do with your dog. 1. Just do SOMETHING with your dog….ANYTHING….I beg you on behalf of your dog…..
Was that wrong of me? Kinda dirty to include all the build up then just tell you what I’ve been beating into you non stop. I know, but hear me out before you hate me more than you already do for my abrupt, direct, sugar-free coating style of communication. I just want your dog to be happy and I know you want that even more than I do. Making the conscious choice to start spending quality time with your canine companion in a constructive and productive is more than half the battle. Whatever you decide to do, do it with love and the intent to mentally and physically stimulate your dog. The rest will work itself out. There is a TON of stuff to do with your dog. Tell us in the comments what you find to be a blast for you two and maybe you’ll give somebody a great idea and help them keep their dog happy!! © 2017 KD Mathews. Caring for your dog, not your ego.